1. Where are you, G.I.Joe? Over the past few years I've stated over and over that Hasbro keeps making it harder and harder to be a G.I. Joe fan. I really enjoyed G.I. Joe Retaliation and it seems like lots of other people did, too, but this still wasn't enough to convince Hasbro and/or retailers to adequately stock and supply new action figures. While we did get a few decent figures this year and the very cool Tomahawk tribute, if you want G.I. Joes you'd better join the Collector's Club (and prepare to pay around $37) or be ready to pay secondary market prices on the few good figures Hasbro releases. I'm still shocked by how quickly Hasbro went from the amazing Pursuit of Cobra and 30th Anniversary lines to the relative obscurity of the Retaliation line. Now we're in the 50th Anniversary year of G.I. Joe and Hasbro doesn't seem to be offering anything. My guess: Hasbro will be on this list again next year. 2. Star Wars 1/18th, Where Are You? I'm not sure I've ever enjoyed collecting Star Wars figures more than I enjoyed collecting the Vintage Collection a few years back. Lots of great figures in a variety of styles on some of the best packaging we've ever scene at fairly reasonable price points. Suddenly, though, it seemed like the product released in conjunction with the Episode I 3-D re-release kind of clogged shelves and the line became near impossible to collect before just disappearing. While Hasbro put out the Black Series 1/18th scale line in the early fall of 2013, the first wave has been pretty lackluster and seems to be clogging the shelves, preventing waves two and three from hitting in reasonable numbers. The 6 inch line has been a real hit, but the 1/18th line has been left wanting other than for a few sporadic exclusive releases. Hasbro seems to have some better idea for planning casepacks (always one of their weaknesses) for this year. Will it help? OK, so this is actually a disappointing story that has a happy ending. At the beginning of 2013 I was getting pretty fed up with DC Collectibles. After a broken Killer Croc, a broken Batgirl statue, and a damaged Azrael figure in 2012, I felt that there quality control had really diminished. 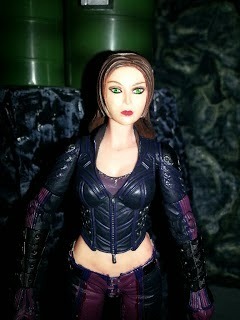 After getting a broken Talia al Ghul and a broken Deadshot in their Arkham City series 4, I was ready to call it quits. There also seemed to be no way of getting in touch with the company to seek assistance (they have no customer service line that I can locate). I pretty much gave up on DC Collectibles until I started hearing reports that the figures were improving with no major QC issues. I preordered the Arkham Origins series and was pleasantly surprised that everything seemed back on track. I've picked up a few figures from them since and have been pleased. Way to get things back on track, DC Collectibles! You had a rough start, but at this point in 2014, you're easily on track for being a winner in the awards for next year. At the beginning of last year, it seemed that everyone was looking forward to Mattel's 1966 Batman figures. I had everything preordered and was really anxious to get these. Then I saw some pictures of the finshed product and canceled everything. Most of these figures seemed overly skinny, awkward, and just plain lackluster. I picked up Batman on a whim and was highy disappointed. Oh, and Mattel pretty much seemingly announced that the line was ending before these even arrived on most store shelves. So no Batgirl? No updates? I've since reviewed all of the basic figures in the line and while I like many of them, this line just needed to be handled a bit better. I think this was probably a better property for Matty Collector than mainstream retail. It feels like Mattel may have prematurely killed this line. If that's not the case, they need to let fans know. Maybe the reemergence of DC Collectibles is the reason for this, but Mattel has just handled the DC license very poorly the last year or so. While they did release some great Batman figures in their Batman Unlimited line, that was pretty much all they did. Other than a Deathstroke from Arkham Origins, Mattel ignored Batman's villains at retail in this line. The had some decent figures earlier in the year, but there was little rhyme or reason to their release. And their online exclusive Club Infinite Earths line? Pretty forgettable with some really awkward character and costume choices. Also, that Superman line? Boring. Mattel tempted me very little with their DC offerings this year and I buy pretty much anything Batman related. I'm an easy mark. Remember how amazing the 1/18th Iron Man 2 line was? Tons of classic and film based suits of armor with plenty of articulation made for a great toyline. The Iron Monger from that line always stands by my telephone on my work desk as he is one of the most fun toys to just pick up and play with. 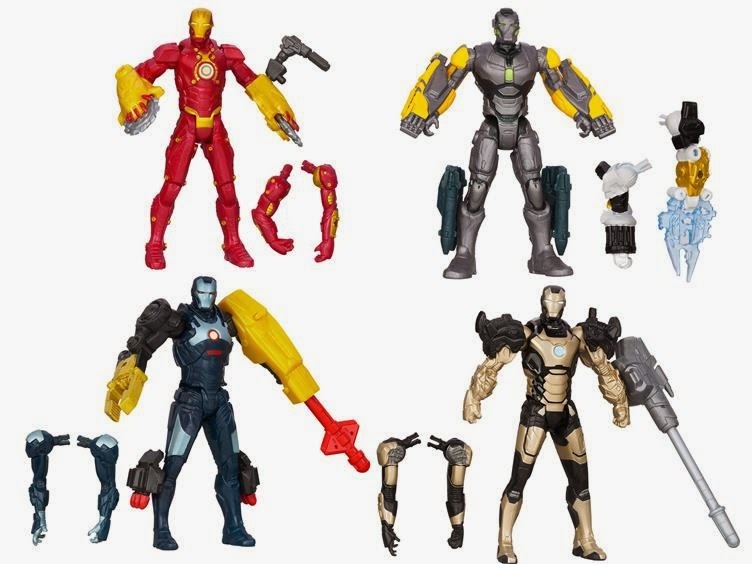 For Iron Man 3, while Hasbro released a pretty nice Marvel Legends series of figures, their smaller scale efforts were those worthless four or five POA figures that seem like they'd be better suited for a dollar store. 7. 3rd Party MOTUC stuff sells out too fast! There have been lots of very cool 3rd party MOTUC stuff released by various independent toy makers this year, but guess what? It's nearly impossible to get a hold of unless you're right there when the stuff goes on sale and you're extremely lucky. Major bummer as I'd love to own more of these items! While Mattel created the "Early Access" program to help subscribers get items offered outside of the sub a day earlier than the regular riff-raff, they still ran into some problems. Actually, customers ran into the problems: 1. If you order through Early Access, you're still paying a separate shipping cost since. 2. One of the out of the sub items was not released through "Early Access" but was instead randomly put on the site as a chase figure. How exciting!? Not only did you have to stumble on him, but you also had to then pay separate shipping for him. While this was annoying for US based customers, international fans were hit even harder. NECA had some great stuff for their Prometheus line and unfortunately, we're never going to see some of it; Particularly, Dr. Elizabeth Shaw. You know, the main character. NECA toted both her and a couple of other characters to various shows but didn't release them. 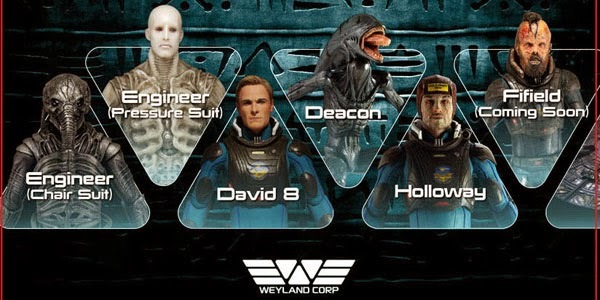 In the middle of the year NECA teased us with an announcement for Prometheus series 3 which turned out to just be translucent blue repaints of the previously released engineers. How exciting. This one is for Brad: It's been some time since Hot Toys announced that they would be releasing 1/6th scale figures from Batman Returns and Arkham City, and yet we've still seen nothing. 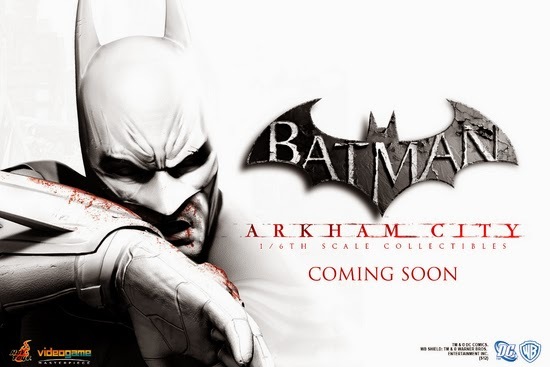 Actually, at some time early last year they released a teaser of Arkham City Batman but never followed in giving any more info about it. C'mon Hot Toys: Brad needs to know how much blood he needs to donate and how much longer he'll need to live in his grandma's basement so that he can budget for your toys!  What were your toy disappointments for 2013? Tell us now in the comments section below! I totally agree on the 66' Batman at lest with the one i got from you Jerry with it's "Dirty Knees" and all. I think we are going to be seeing a lot more "QC" and paint issues with a lot of up coming stuff this year because this is just become a trend with new action figures sadly but i will give props to Playmates and there TMNT line while not perfect it's still i think the best toy line out there at the moment. I did see one picture from the NY Toy Fair that showed Surfin' Joker. My guess is that the line will continue on as a Toys R Us exclusive, but how it will be sold and whether or not we get anyone else new (like Batgirl or any other character) remains to be seen. My guess is that (like with Robin) Surfin' Joker will be sold as a two figure set, packaged with an already released figure - logic dictates it would be Surfin' Batman, but Mattel is never one for logic, so it will probably be Penguin. If Batgirl is far along enough in development, she will be released with someone illogical as well. Probably Penguin. I'm really surprised that DC Collectibles hasn't announced doing anything with the 1966 series yet (that I've heard about, anyways). It seems they would be all over that, as they've often released toys Mattel had already released or was planning to release.